Find out how to get tickets for the Yuk Foo rocker's dates this November. Wolf Alice have announced the details of their new album, and along with it a headline UK tour. The Freazy rockers will embark on a world tour, which include UK dates at the Manchester O2 Apollo and a homecoming show at London's Alexandra Palace on the 9th and 24th of November respectively. 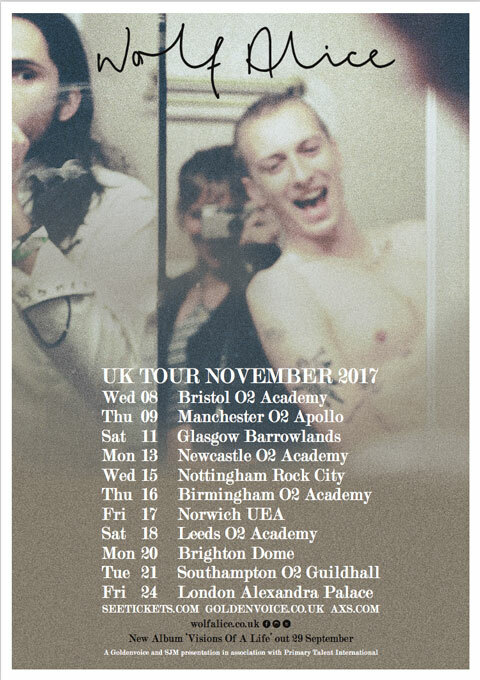 Tickets for their UK shows are on sale now. Meanwhile, this week the rockers shared the lyric video for their Yuk Foo single- the first cut to be taken from their second album. Visions Of A Life is set for release on 29 September 2017.